Poker Rewards runs on the reputable Microgaming software. The lobby is very easy for players to navigate with a tree that allows player to choose the game type, limit and stakes. The basic graphics are colourful and effectively and serve their purpose with easy to read cards. Players will be able to display four different tables on the screen which is ideal for players who would like to play more than on table at the same time. There are impressive tournaments which include Heads-up, Single-table and Multi-table Sit 'n Go events. Poker Rewards have a very impressive game selection with games such as No Limit, Pot Limit and Fixed Limit Hold'em, Pot Limit and Fixed Limit Omaha in High and Low variations, 7 Card Stud and 5 Card Stud. Poker Rewards banking deposit methods include Credit Card, Firepay, Neteller, Citadel and Wire Transfer. 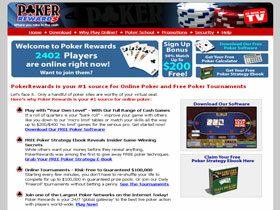 Poker Rewards were established in 2000 and are part of the Prima Poker Network. Poker Rewards offer players a 50% first deposit bonus up to $200. This is one of the highest bonuses available and is easy to be earned. 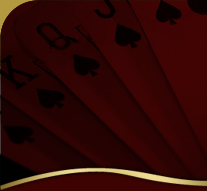 Poker Rewards also have a loyalty scheme where 10% of every rake will be returned to the player as bonus points and may be exchanged for cash.